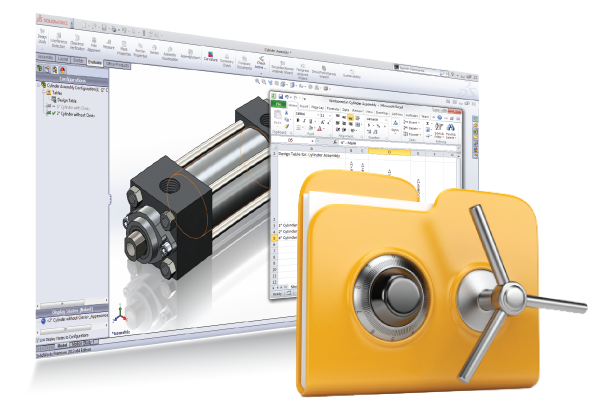 The AligneXpress PDM Pro Automation Framework is an add-in for SOLIDWORKS PDM Professional (formerly known as SOLIDWORKS Enterprise PDM). AligneXpress includes an administration console for configuring a variety of custom functions within SOLIDWORKS PDM Professional (PDM Pro). The user interface is organized in such a way that an experienced PDM Pro administrator can extend PDM Pro's standard functionality without having to write unique, custom code for each requirement. AligneXpress' capabilities are based on several years of actual customer requests for features such as data validation, file manipulation, advanced workflow customization, printing, and data export.